Thanks Eileen....:o) Amy, ooh would you put the recipe on please....theres lots of Oregano in here and I never know what to do with it Lol!! That's a good idea Bobg, Beetroot leaves and carrot tops are very attractive aren't they, and some flowers keep the aphids off your veg......I always thought Marigolds kept away greenfly and whitefly until I saw mine covered in them Lol! Thanks Amy, sounds yummy!......shall try it this weekend, just need the cumin and paprika....:o) Would it be best with Lamb do you think? 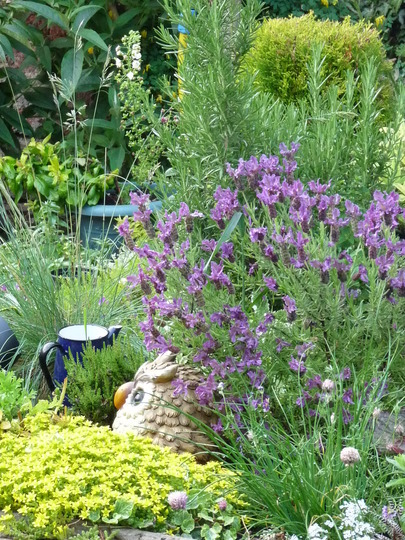 Lovely planting, I like the owl too.